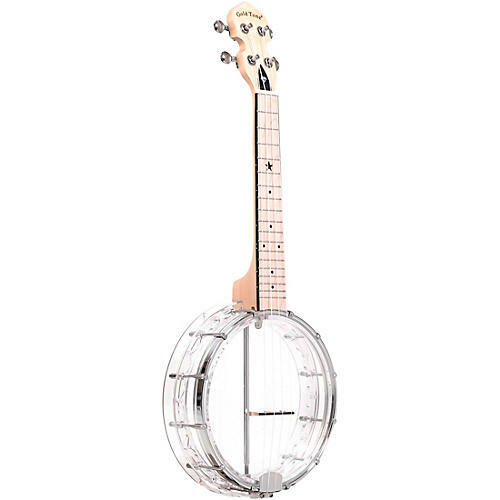 The Little Gem Banjo Uke features a composite see-through plastic rim and resonator, and is available in 4 colors (Diamond, Ruby, Sapphire, and Amethyst). The Little Gem also has a maple neck, penetrating tone and sealed tuners. Includes gig bag.